Willing to relocate anywhere for the right fit. Living accommodations must be family-sized for me, my husband, and two dogs. Must be able to bring 1-2 horses along. Not opposed to traveling for shows or relocating for the winter season. 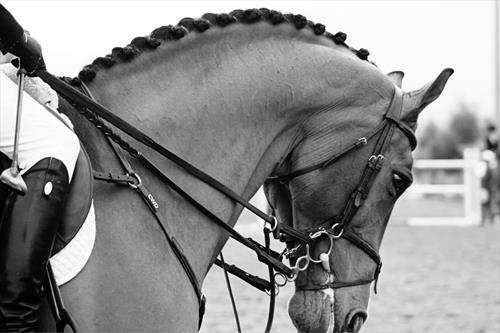 I have been riding horses since I was six years old and have worked professionally with horses since age 18. 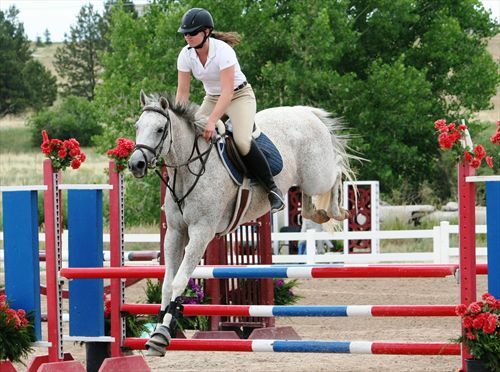 I have worked with Grand Prix trainers on the A/AA circuit across America, including HITS Coachella, HITS Ocala, Summer in the Rockies series, and the Winter Equestrian Festival. 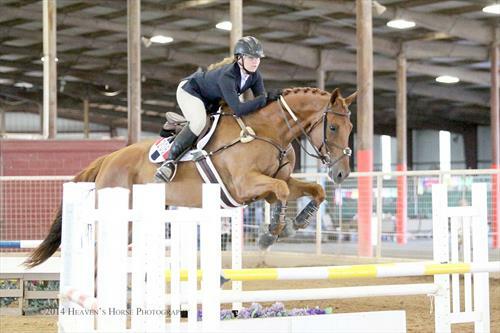 I have ridden everything from green OTTBs and unbroken warmbloods to imported, FEI-ranked Grand Prix jumpers. I have much experience in the workings of the jumping industry, both at home and at competition. Due to getting married and taking college courses, I have taken a couple of years off from working professionally in the hunter/jumper industry. But I am anxious to join a team that will reward hard work with riding and competition opportunities. I have been riding horses since I was six years old. I got my early experience with retraining three Thoroughbreds green off the track with the assistance of a trainer. I've competed in Texas, Colorado, and Florida. 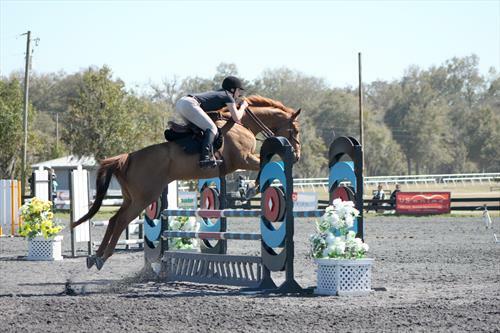 From there, I was a working student for Grand Prix riders at HITS Coachella and HITS Ocala. 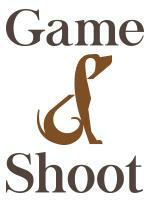 I gained much of my grooming knowledge from these opportunities and was also able to ride and jump client horses. I was then hired as a working student/rider for a private breeding farm in Texas where I was able to be much more hands-on with the riding, training, and development of young and green horses. 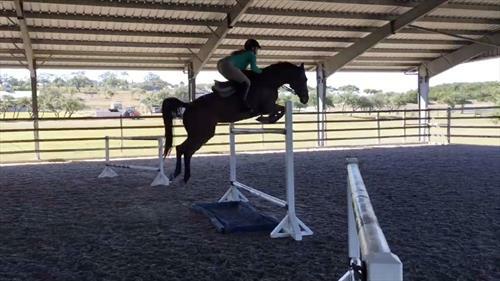 I was given sole charge of a very hot/sensitive green mare who I rode up to 1.50m at home, schooling 1.30m-1.45m on a regular basis. 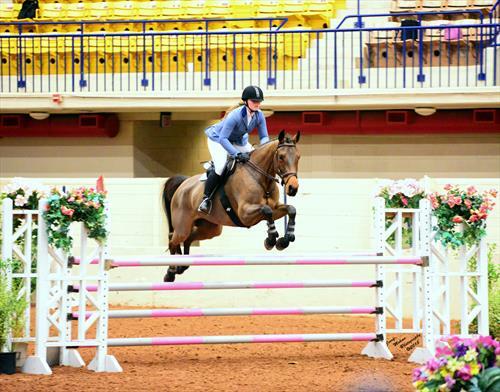 She made her competition debut at the 1.20m-1.30m level where she won top three placings in the majority of her classes. 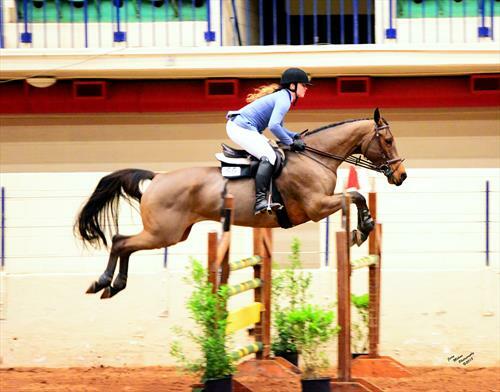 I now hope to join a team where I can have opportunities to ride, develop, and compete horses as my abilities progress. I have a real passion for riding and handling the more difficult and sensitive horses. I enjoy the challenge of finding ways to work in harmony and build a partnership with those kinds of horses. I have a ton of experience with grooming in preparation for competition, including body clipping, mane pulling, and braiding. I'm highly organized and efficient in all aspects of horse care and training. Because of my vet tech experience, I'm able to administer IV/IM shots, wound care, first-aid, etc. I've ridden everything from green and unbroken three-year-olds to experienced mounts. I have jumped up to 1.50m at home, but have schooled horses mostly around the 1.20m-1.40m range with competition experience up to 1.30m. I believe that a variety of different flatwork and pole exercises is key in training, so I have much experience in schooling horses of all skill levels through these exercises. I also believe hacking and trail riding is extremely important for a horse's mental health. 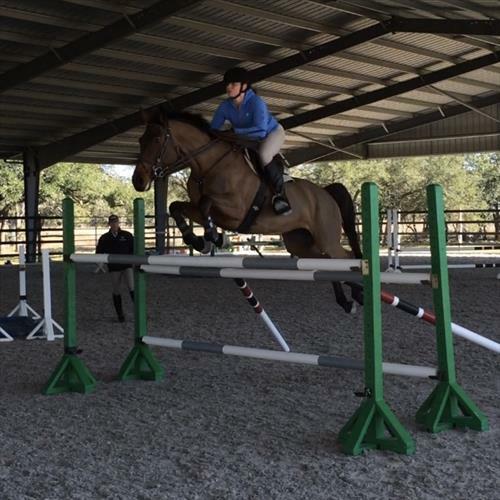 I have competed in many different hunter and jumper classes both on the local circuit and the "A/AA" circuit nationally, with heights up to 1.30m. Most of my competition experience involves showing greener horses. 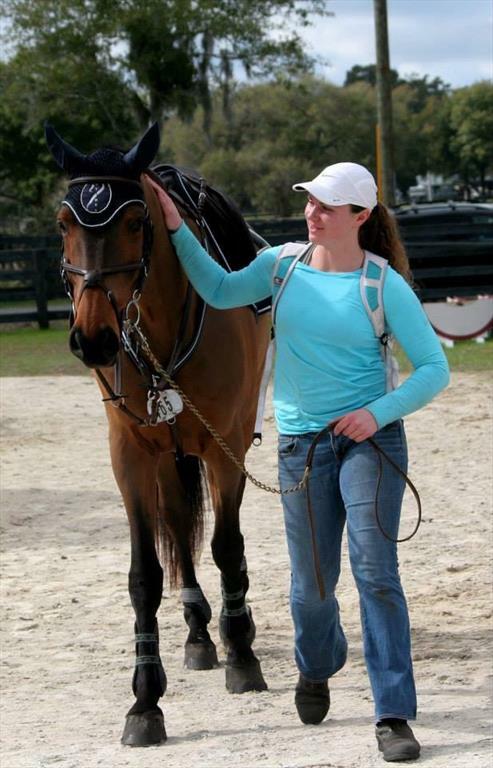 This has allowed me to learn the best ways in introducing a horse to the competition atmosphere that helps them build confidence and have successful first experiences that helps them excel in their competition careers later on. Christian Heineking 1/1/2014-3/1/2014 Email: heinekingshowstables@yahoo.com Website: www.heinekingshowstables.com I worked under Christian as a working student during the 2014 HITS Thermal circuit as a full time working student. 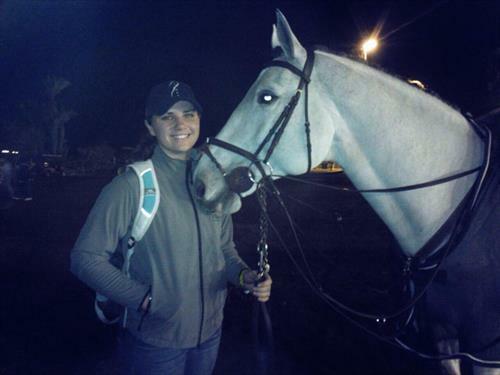 Derek Petersen Of Legacy Farm 1/1/2015-3/1/2015 Website: http://legacysporthorses.com/ I worked under Derek Petersen as a working student during the 2015 HITS Ocala circuit. Guy Hodgson 4/1/2015-4/1/2016 Website: https://www.facebook.com/royalcstud/ I was a working student for Guy Hodgson at Royal C Stud in Driftwood, TX. Texas Equine Hospital 9/1/2016-7/1/2017 Office: 979.778.2529 Website: www.texasequinehospital.com I worked as a veterinary technician under Dr. Cliff Honnas and four other DVMs at Texas Equine Hospital.